We are so naughty when it comes to a sheep needing retirement from the McNair flock! Carla came to live with us recently, she is so beautiful! 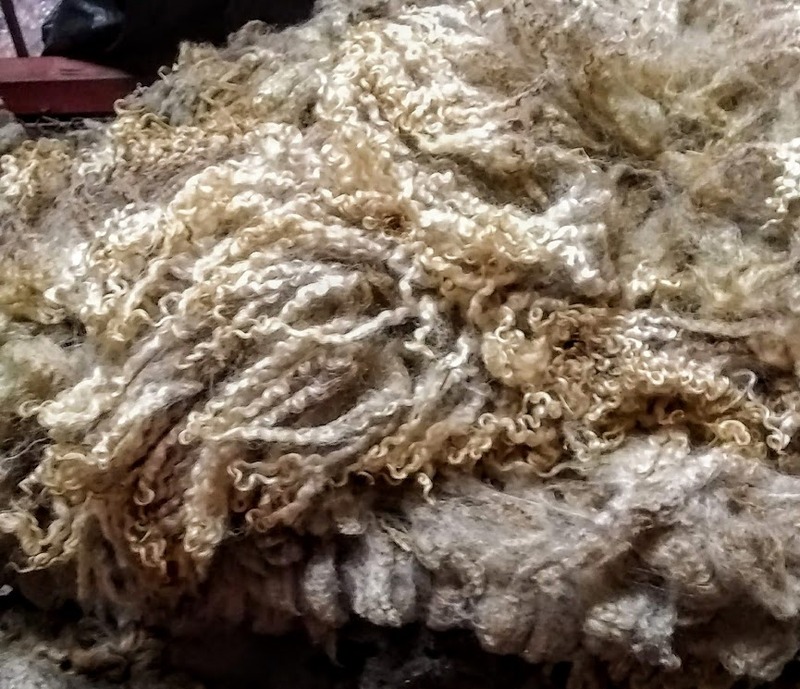 A silver to dark brown Romney sheep with next to the skin soft wool that features 4 inch locks. The crimp is loose and wavey. Her best friend is Avi. They retired here at the same time. They are shyer than most of our sheep but that's ok. Happy sheep is our numero uno 'rule'! She's learned how fun it is to play hide and seek-specially when I have the camera out! Avi is the opposite. She loves the camera. They spend their days sunning, grazing in the pasture and just enjoying life.